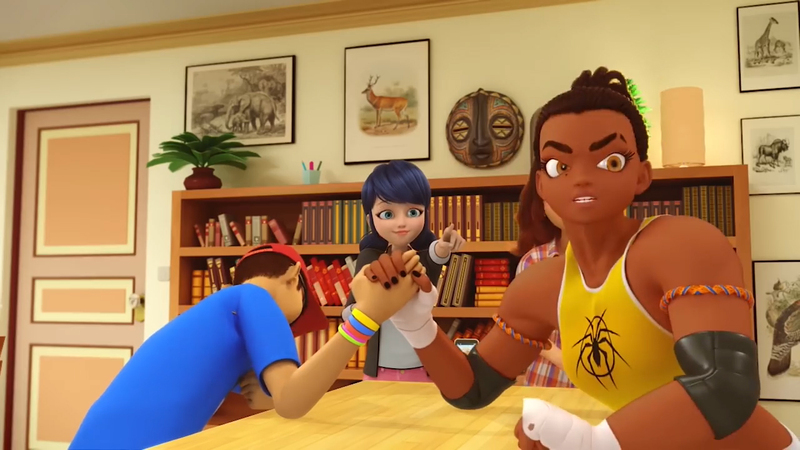 Episode Anansi will premiere on September 10, 2018, in Canada on Family Channel. 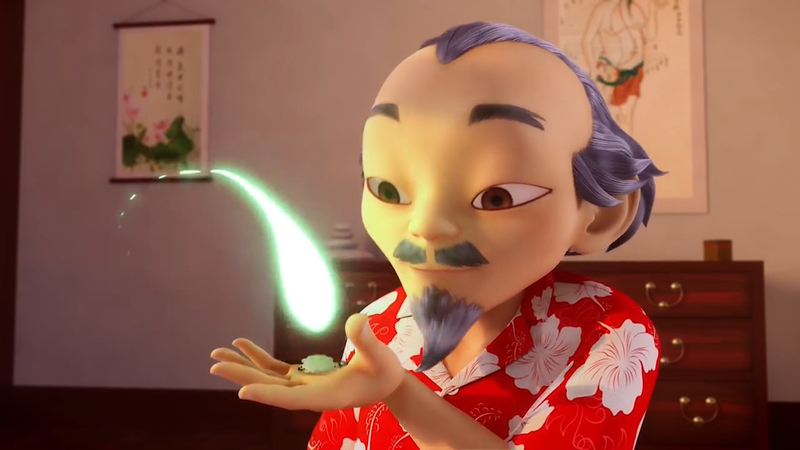 And this is first trailer of the upcoming episode. We wanted to highlighted some interesting moments from the tariler. 1. 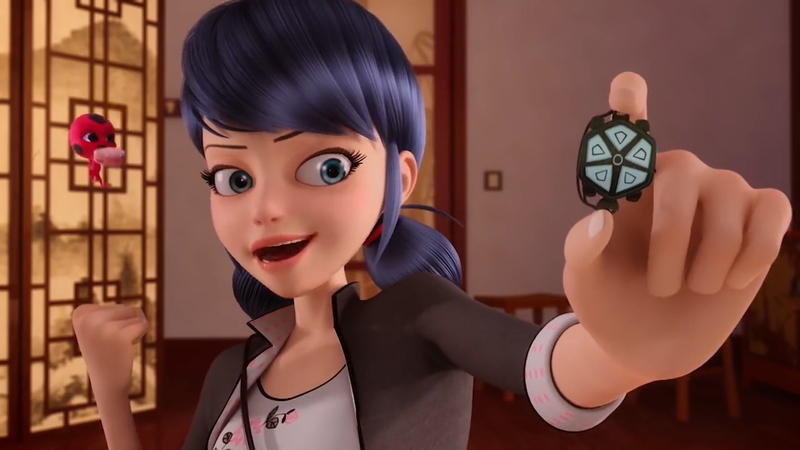 This girl is Alya's older sister, her name is Nora. 2. 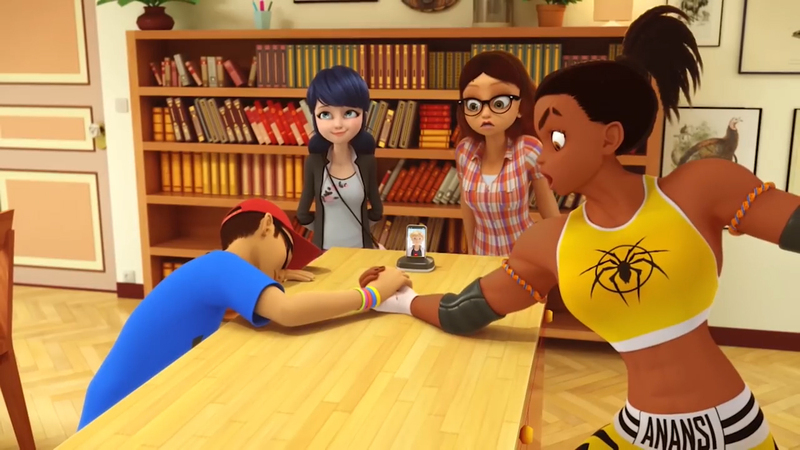 Marinette is cheating, distracting Nora and letting Nino win. 3. Look clother at the previous picture. 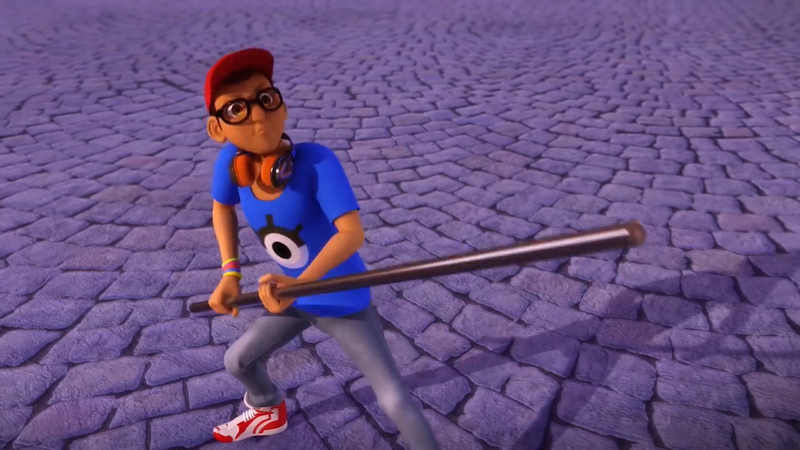 There is a phone with Adrien in it. Probably he could not come, and friends helped him to be present virtually. 4. 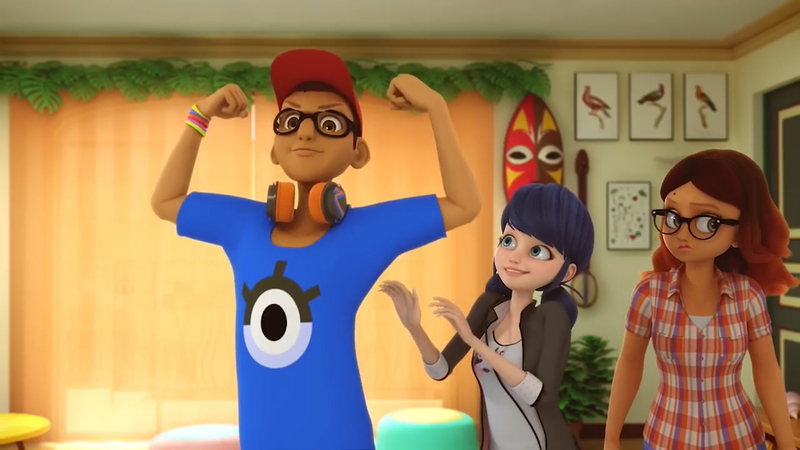 This precious Alya's reaction. 5. 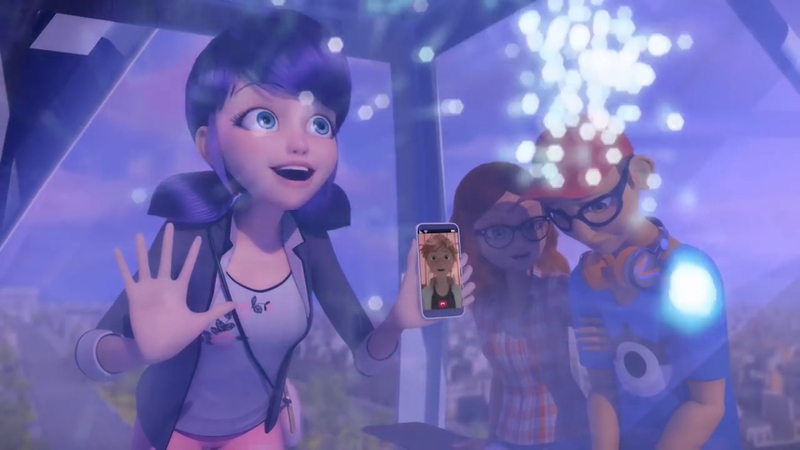 And here is Adrien again in Marinette's phone. Seems like he spend whole day with her virtually. 6. 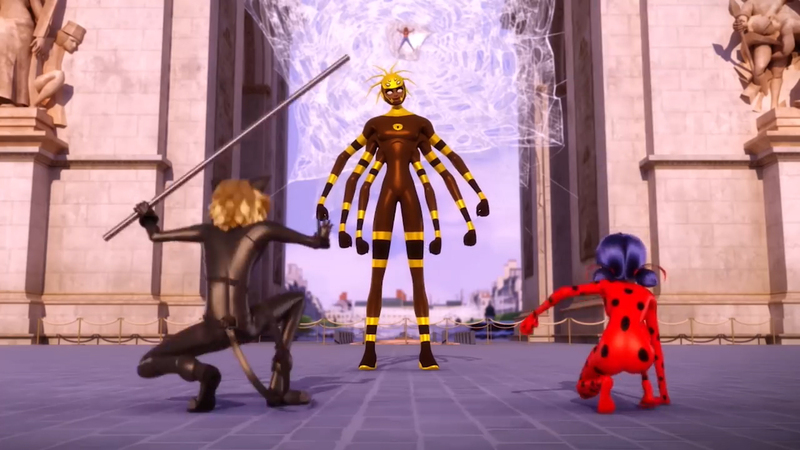 Anansi is one of the most impressive and horrifying villains in Miraculous series. 7. How bravely Nino rushed to save his beloved Alya. 8. 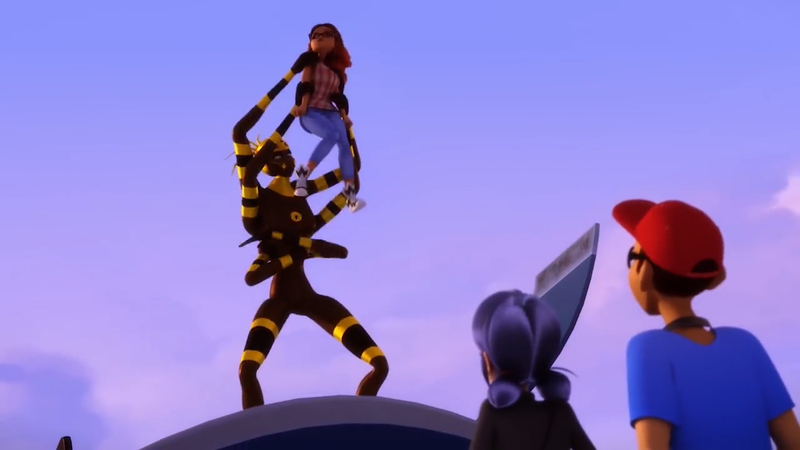 And Cat Noir saves his darling Ladybug, again. 9. 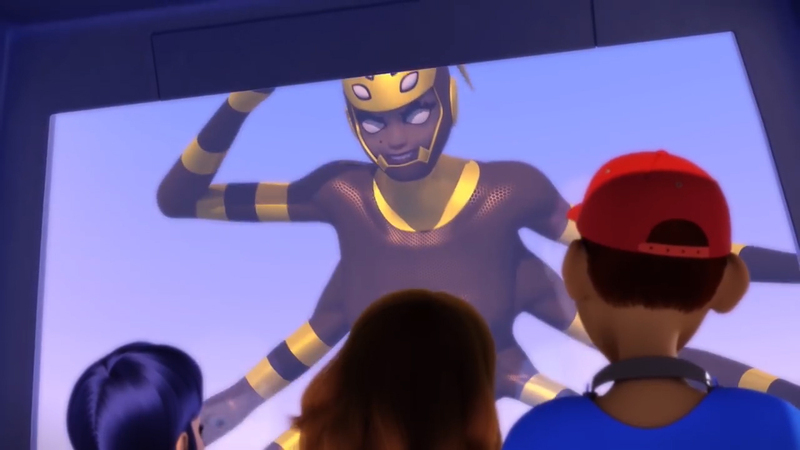 We gonna see Carapace in this episode, Marinette will share new miraculous!